From wildfires to midterm elections, for better or for worse, 2018 was nothing if not a year full of stories. It feels like each year is somehow busier than the last, and this year was no exception. As the world prepares to enter the new year, here’s a look back at ten of top health stories of 2018. #10 – A Leap Forward For Transplants – 2018 saw several major breakthroughs in the science of transplants. The world’s first baby was born from a transplanted uterus, for example, giving new hope to hundreds of thousands struggling with infertility. And face transplant techniques improved enough to allow a man in France to undergo a second face transplant after a medication issue jeopardized his first. #9 – The Year Of The Recalls – The title of Public Enemy Number One went to an unlikely culprit in 2018… Romaine lettuce. This past year saw a flurry of food recalls, many of which were vegetables or frozen vegetables. But despite the scares, the real takeaway from these stories is how much faster the industry has become at identifying threats and taking action. #8 – Fighting Peanut Allergies – Food allergies send thousands to the ER every year, with an average of 150 to 200 deaths. Of those, nearly half stem from peanut allergies. But 2018 gave those with allergies hope, using peanut flour as a way for children with allergies to build an immunity. #6 – Medicaid Expansion – Healthcare access has been a partisan issue in politics, but bipartisan efforts in three states (Idaho, Nebraska, and Utah) have expanded Medicaid access to approximately 300,000 people in 2018, with more states already laying the groundwork to follow suit. #5 – Alternative Pain Treatments – Pain medication is vital, but also plays a big part in creating a potential opioid dependency. To combat this, 2018 saw over $81 million dedicated by three government agencies (the National Institutes of Health, the Department of Veterans Affairs and the Department of Defense) to study alternative treatments for pain. #4 – Cancer Vaccine Progress – Medicine hasn’t figured out how to prevent cancer yet, but thanks to efforts in 2018, we’re a step closer. Scientists found a cocktail of stimulants that has proven effective in helping the body reject lymphoma, breast cancer, colon cancer, and melanoma in mice. #3 – Stroke Recovery – Often a stroke is the beginning of the end, as full recovery afterwards is a difficult road. But thanks to progress made in human trials in 2018, a new technique known as deep brain stimulation is helping test patients regain motor function after post-stroke paralysis. #2 – Preventing Migraines – Those suffering from migraines know that the splitting pain can quickly become debilitating, and many times, the intense headaches are impossible to predict or prepare for. 2018 brought hope, however, through a new drug (Aimovig) approved by the FDA in May. The drug goes a step beyond treating migraines and actually works to prevent them from occurring. 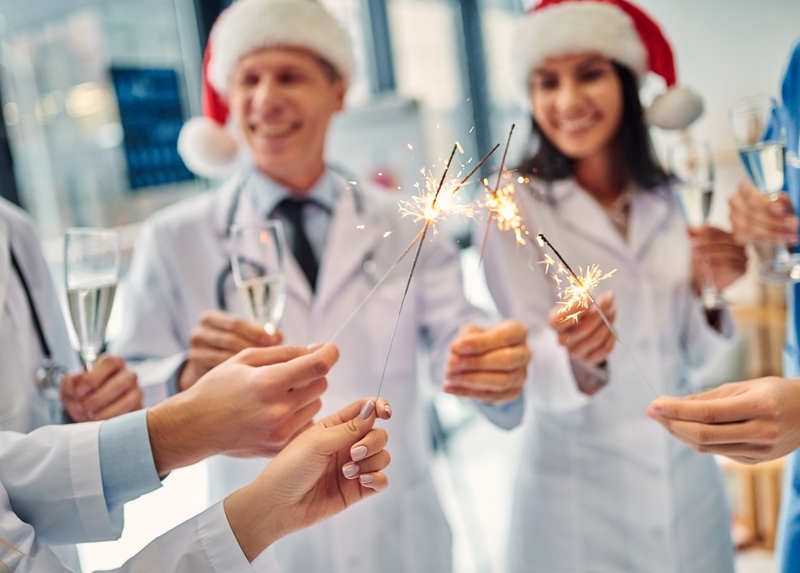 #1 – People Love Nurses – And of course the top medical story of 2018 centers on the pulse of the medical community, the nurses. For the 17th year in a row, nurses ranked as the top profession for honesty and ethics. 82% of Americans rated nurses as high or very high in ethics for 2018, which is a huge accomplishment. If you are interested in joining the rapidly growing field of nursing in 2019, Eagle Gate College can help. Contact us here for help beginning your journey.